As humans, we all have dreams some of us seek for a way to fulfill them some part just let them come, be in our mind for a while then give up on them however from time to time you give a little thought to it and ask to the Universe How do I fulfill my dreams? Is there a way? Because I don’t see it. "A person who cannot imagine the future is a person who cannot contemplate the results of his actions. Some are thus paralyzed into inaction"
What to do to fulfill your dreams? 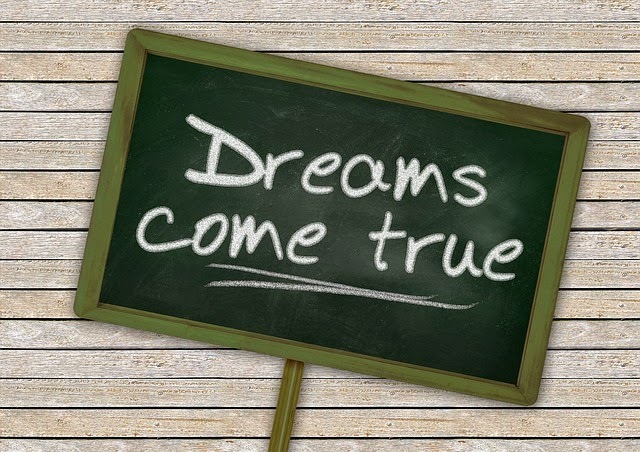 First of all, the main reason a dream stays a dream forever, it is because of you! Fear and doubt flood our minds, giving lots and lots of excuses and putting imagined obstacles every step of the way. In order to fulfill your dreams you must be strong and have a clear vision of what you want to add passion to it at the same time detaching from the outcome just know that it is already there, that it's already yours and give thanks. There will be ups and downs, self judgment and criticism will be on the everyday menu while working towards your goals but don’t lose focus, shake those thoughts are not you… listen to your Inner Guidance your Spirit knows better. You must be aware of self sabotage as at the same time we all have the power to manifest whatever we want, our mind becomes the enemy when in the process either because you allow another person's negativity penetrate and contaminate you with it or because you are too attach to failure. Neither one can be stronger than your dreams, go for it if you happen to live in a non healthy environment full of negativity, get out run away from it in case you cannot do it then start mastering meditation. You have to learn how to use your imagination, how to feel as if your dreams already happen, as if they are already fulfilled, to believe that with God, Higher Power,The Universe or whatever you prefer to call it EVERY THING can happen. It is your own choice to go complaining around on how life is bad and full of trouble or change your mind, change your thoughts, next time in meditation ask to your Self how do I fulfill my dreams the answer will be there things will start working on your behalf synchronicity begins showing in your life rely on the power that is within you.